Artillery Bloom is a play on military vernacular and consists of dormant formations that were once the support for massive artillery and have since become ideal habitats for ecological growth. These formations are part of a massive installation of coastal defense systems that dot both the East and West coasts as well as the Gulf of Mexico in the United States. Most of these installations were built in the early 20th century or prior and were briefly reinstated during WWII. 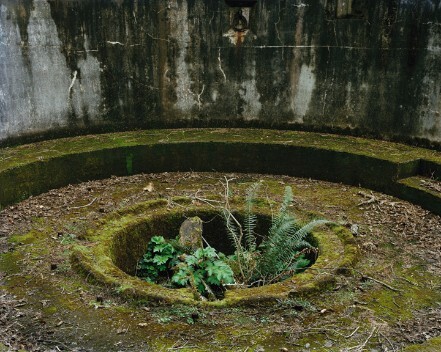 While the appropriation and repurposing of inactive military spaces is the main theme of my work and does not necessarily corollate to peace; images of once superior military power reclaimed by nature can't help but give hope.